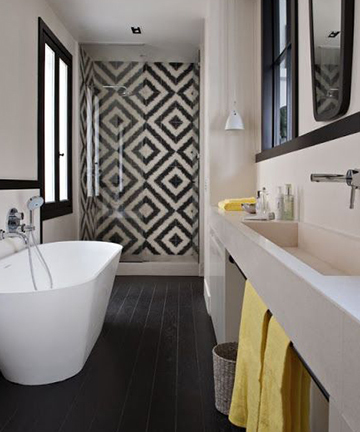 Make your bathroom pop with a stylish tile design. 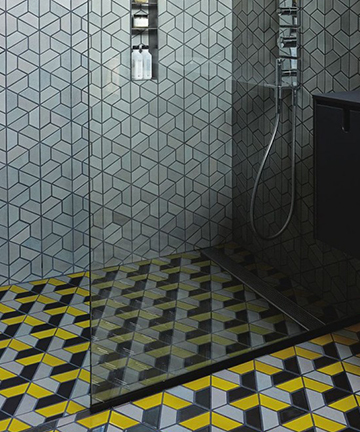 Get rid of the boring basic tiles you have and opt for something more daring. 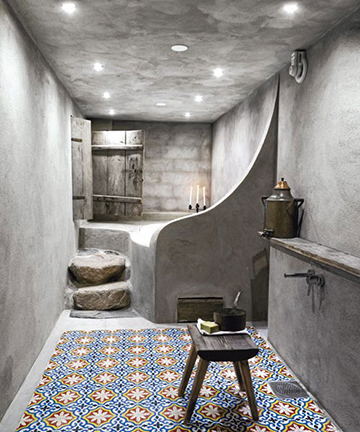 The great thing about tile it you can really make it your own. 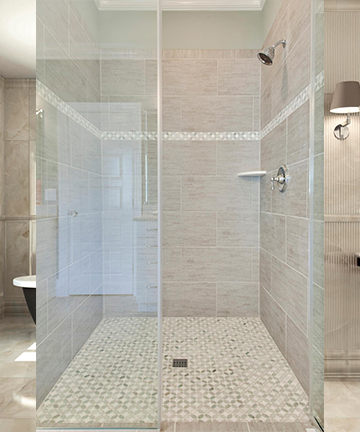 Create a custom mosaic or interesting pattern to set your bathroom apart from the rest. 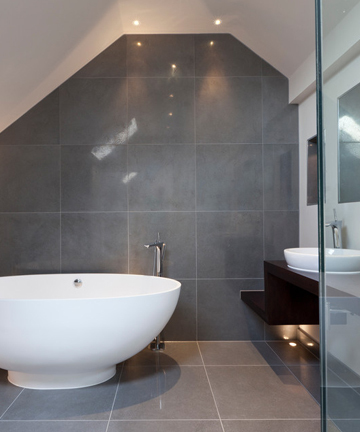 Here are some tile designs to give you some inspiration. 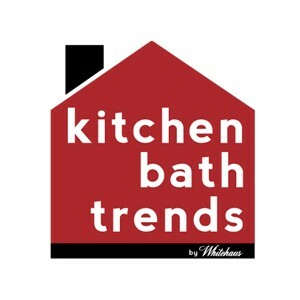 Geometric shapes and patterns are currently a very big trend. The inspiration actually came from the fashion design textiles, which interior designers picked up on and brought if from the runway into the home. 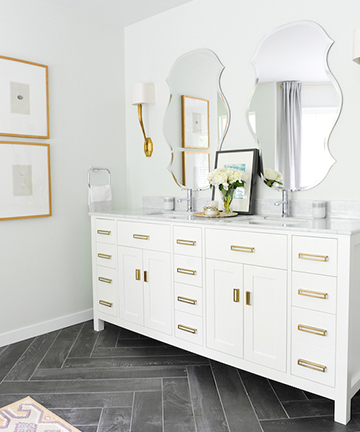 The herringbone pattern is all the rave these days. 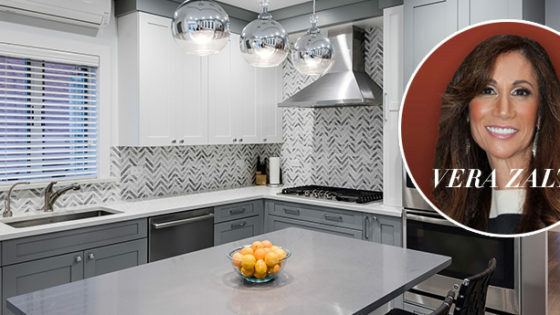 Pick one type of tile and lay it out in this arrow-like shape for a stylish touch. 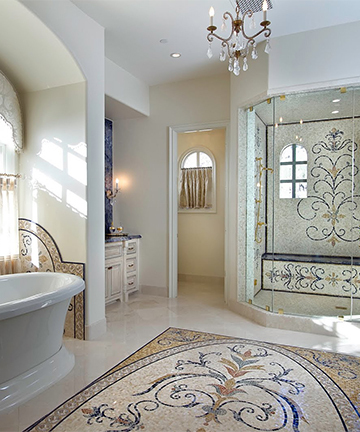 Create a tile work of art on your bathroom floor. Your guests will love it! 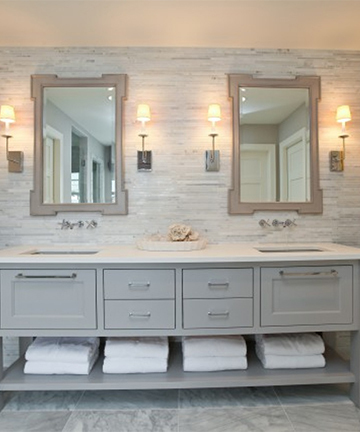 This style will for sure set your bathroom apart from the rest. With this style, you’re creating your own unique artwork that no one else can duplicate in their home. 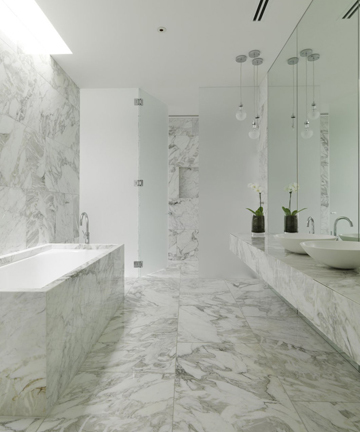 You can never have too much marble. 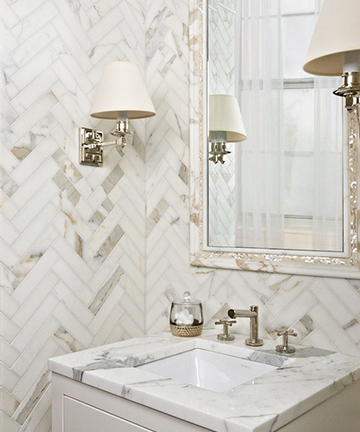 Carrara marble is such a stunning stone, that too much is never too much. 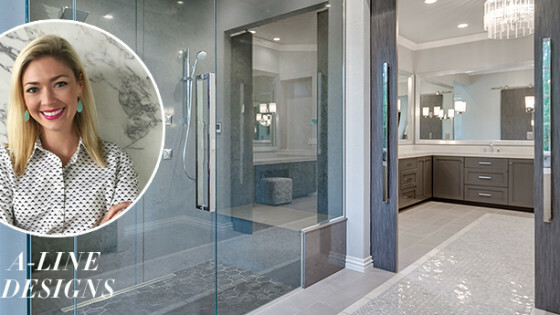 Laying tile in vertical or horizontal lines is an easy way to add character to your bathroom without getting to intricate. 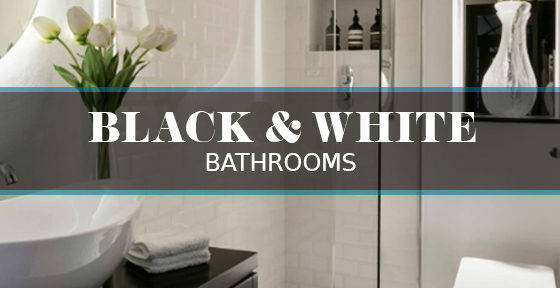 Pick a contrasting color to draw attention or do something more neutral and subtle. 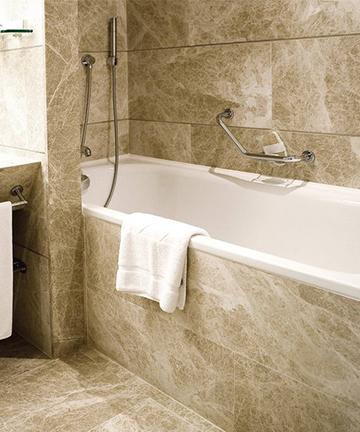 Cover your whole bathroom, floor to walls, in one type of tile to get that luxury hotel look. 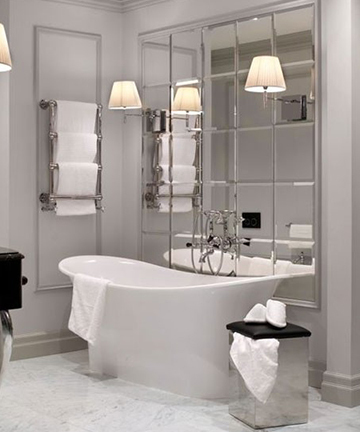 Mirrored tiles are a unique and unexpected material to include in your bathroom design. 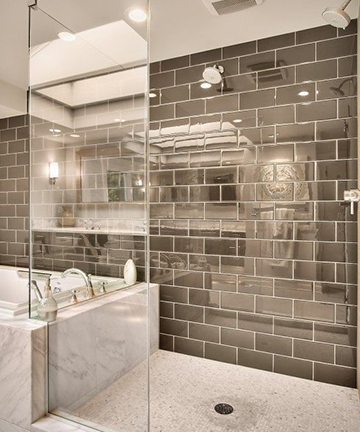 If you love a little glamour in your home, mirrored tiles are the way to go. It will definitely wow your friends and family!